The launch trailer for upcoming title Life is Strange 2 has been released by Dontnot Entertainment. 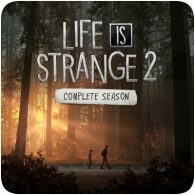 Similar to the first Lift is Strange game, the sequel will be released in episodes, with the first of five episodes releasing on 27th September 2018. An all new story will playout in the upcoming game, which follows the journey of two brothers Sean and Daniel Diaz from Seattle to Mexico.